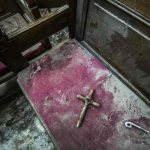 For an idea of why Egypt’s Coptic Christians and their churches are constantly under attack—most recently last Sunday, when a church was bombed, killing at least 25 Christians—one need merely listen to the words and teachings of some of Egypt’s Muslim preachers. Take Dr. Ahmed al-Naqib, for instance. 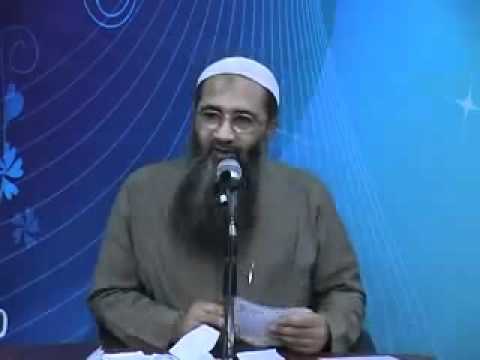 He has studied at the best Islamic madrassas, including Al Azhar, authored numerous books on doctrine, received awards and decorations for his academic achievements, and regularly appears on television. In one video he appeared discussing an earlier Muslim mob attack on a church in Egypt, which the media and government always denounce as fitna, an Arabic word that means temptation or discord and which Islam commands Muslims to prevent. Citing revered Islamic texts including the Koran, Naqib explained that the open display of shirk—the greatest sin in Islam, associating someone else with God, which the Koran accuses Christians of doing via the Trinity—“is the worst form of fitna, worse than murder and bloodshed.” In other words, and as he made perfectly clear in the remainder of the video, fitna (or discord) is not when Muslims attack Christian churches—far from it—but rather when Christians are allowed to flaunt their shirk (or blasphemies) in churches near Muslims. Fighting that—even to the point of “murder and bloodshed”—is preferable. One can go on and on with examples of Muslim clerics inciting—with absolute impunity—against Christians and their churches in Egypt. The point here is clear: until such time comes that the Egyptian government removes the “radical” sheikhs and their teachings from the mosques, schools, television stations and all other positions of influence, Muslims will continue to be radicalized, churches will continue to be bombed, and Christians will continue to be killed.